TWIN 180° Rotating Multimedia Speakers – 2.0 USB Stereo System for Laptop, PC, Computer, etc. 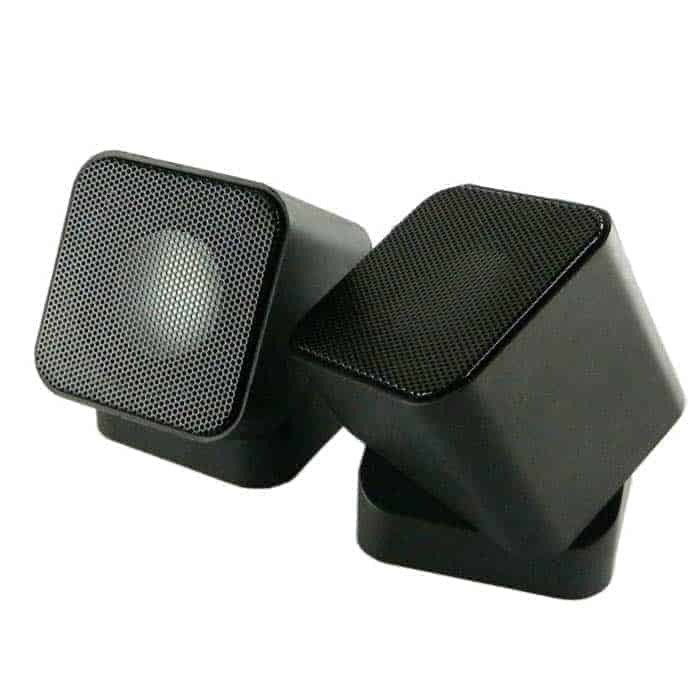 You will wish you were as flexible as the TWIN 180° Rotating Multimedia Speakers. With its 180-rotatable head, you are spoiled with choices- like reach or ambient surround sound. In-charge of providing music to a party? No problem. TWIN rotates into a cube so you can carry TWIN anywhere with ease. The concept is based around a square. 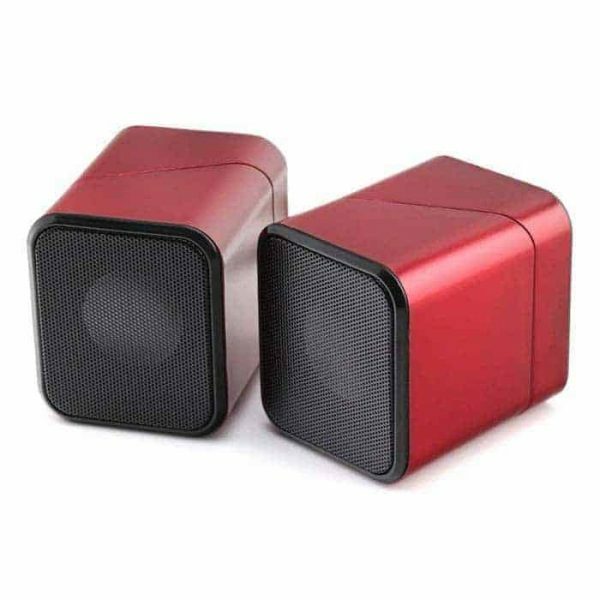 TWIN 180° Rotating Multimedia Speakers will sit comfortably in any environment and fit neatly in your pocket as well. 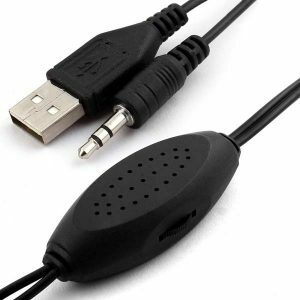 The 180 degrees rotatable top allows great flexibility to enhance your audio listening pleasure. A set of 2 Mini Cube 2.0 Speakers USB power or 3AAA batteries Auxiliary jack for iPod, CD & MP3 player Pocket-size portable Speakers. Soft style blending complementary, sweet treble, alto beauty. Bass heavy, to present you spotless transparent full-range sound. Compatible with all audio players with a 3.5mm audio socket/stereo headset jack, including Apple iPod Touch, iPhone, iPad, MP3/4 Players, Laptops, and PC Computer. 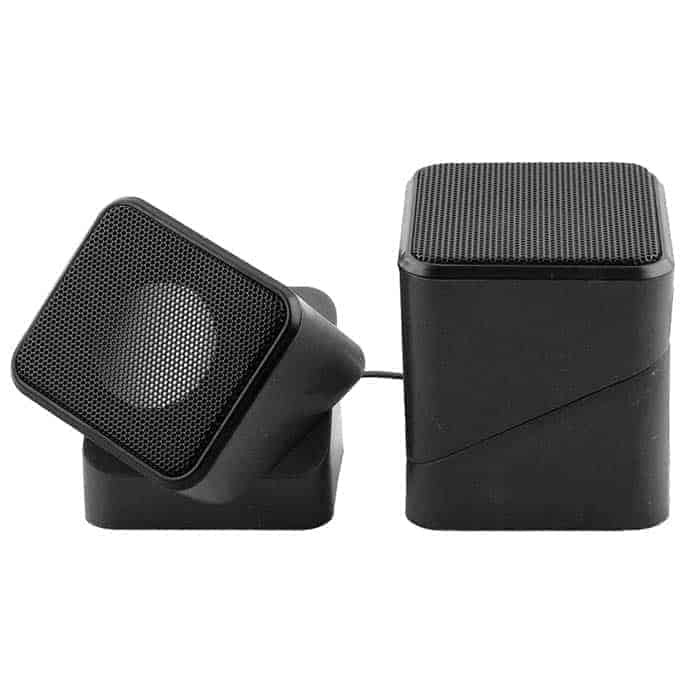 The portable mini speaker charges using our included standard USB cable, which connects to a PC, laptop, usb power adapter or standard USB port. The speakers are small and portable and yet able to exert high quality sound.